Imagine the situation: you escape from the urban sprawl, drive deep into the countryside, park up and embark on a journey of discovery. The air is clean and refreshing, the trickle of a stream the only sound and grazing sheep your only company. You find yourself surrounded by a majestic landscape and the sight of it takes your breath away. The magnificence is all-embracing, so you set up your camera and capture the spectacle. Later, hoping to relive the moment, you look at your images with bated breath. Then, with a sigh of frustration, you wonder what happened to the panoramic vista, the towering mountains or the sprawling forest? It’s all there but as a photograph it is barely recognisable because it somehow lacks the scale and impact of the original scene and is hugely disappointing. So, what went wrong? Transferring a vast and imposing three-dimensional landscape onto a small two-dimensional image sensor (or film) isn’t straightforward. Three into two isn’t a natural fit so we have to compensate for this and compose the photograph in such a way that it transcends the limitations of the medium on which it is captured. How the picture is structured – from the closest foreground to the distant horizon – is therefore of critical importance. When distance and scale are to be conveyed to the viewer, the inclusion of an attractive foreground is an essential ingredient. Without it there would be nothing to catch the eye and no starting point for the visual journey that you are asking the viewer to make. But for foreground to fulfil its role effectively it should be an integral part of the photograph and not simply bolted on as an afterthought. It should join seamlessly with more distant features, flow into the heart of the picture and be free of obstacles that interrupt or obscure the distant view. 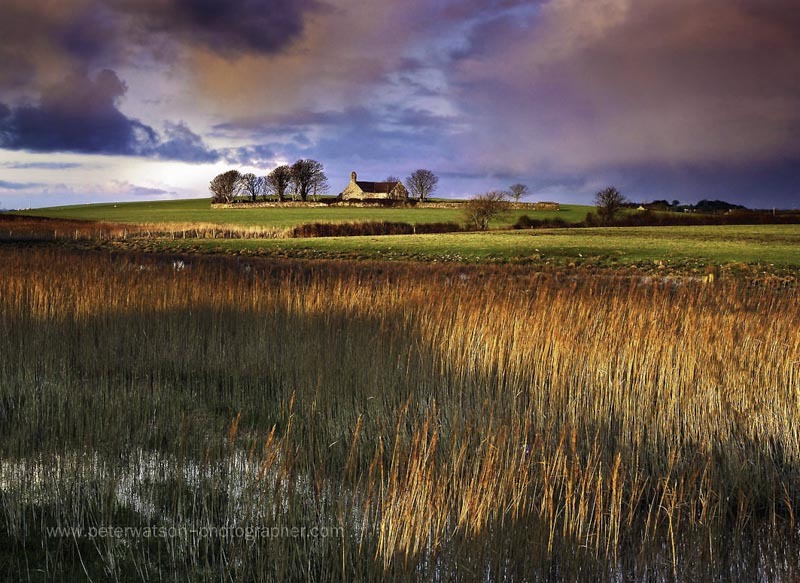 When composing an image, look for foreground features that encourage the eye to travel towards the middle distance. Receding lines such as footpaths, roads, rows of trees and hedgerows are helpful in this respect. For maximum impact try to get as close as you can to the foreground within the limits of your depth of field. Don’t be afraid to fill a large portion of the frame with foreground elements, particularly when they flow away from the camera towards the distance. The objective is to introduce depth in the picture, and using a wide-angle lens will also help to achieve this. Not only will the lens, as its name implies, provide a wider than normal angle of view it will, in addition to accentuating foreground, also stretch distance. The effect of this is that depth, scale and distance will all be brought emphatically into the picture. The viewer is thus given a sense of realism, of actually being there, walking through the landscape, from the closest foreground all the way to the far horizon. It is this visual journey, from the front through to the back of the picture, that creates the illusion of depth. To ensure that visual interest is maintained beyond the foreground build your composition around focal points in the mid and far distance. Trees are very useful for this, as are buildings. The presence of these focal points will draw the eye into the photograph and give a picture scale. They will also strengthen the impression of depth and distance. Successful compositions have a balance between foreground and background, and the careful use of light can help to create this balance. Using a combination of a shaded foreground and brightly lit more distant objects is a very effective means of creating a picture which will engage the viewer and display visual interest across all parts. The shadow falling across the foreground reeds provides a solid base upon which the rest of the picture is built, while the sunlight in the upper part of the picture helps to draw attention towards the horizon. This is a simple composition but with the right light and an attractive sky this type of arrangement can be very effective. The foreground features in this photograph are by no means spectacular, but the angle of light enhances their appearance and provides a high degree of visual interest which leads the viewer into the heart of the picture. Although the foreground fills half of the frame, the splash of sunlight across the distant field draws the eye and prevents the lower part of the image from being too dominant. 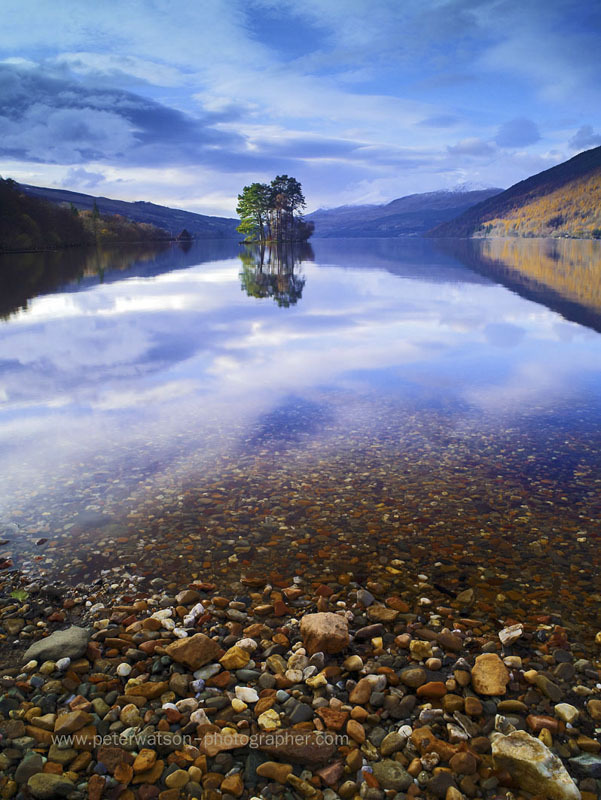 A wide angle lens has placed great emphasis on the foreground, but the image is balanced by the reflections of the sky and landscape. The composition creates a seamless transition across the length of the picture, from the nearest stones through to the sky. 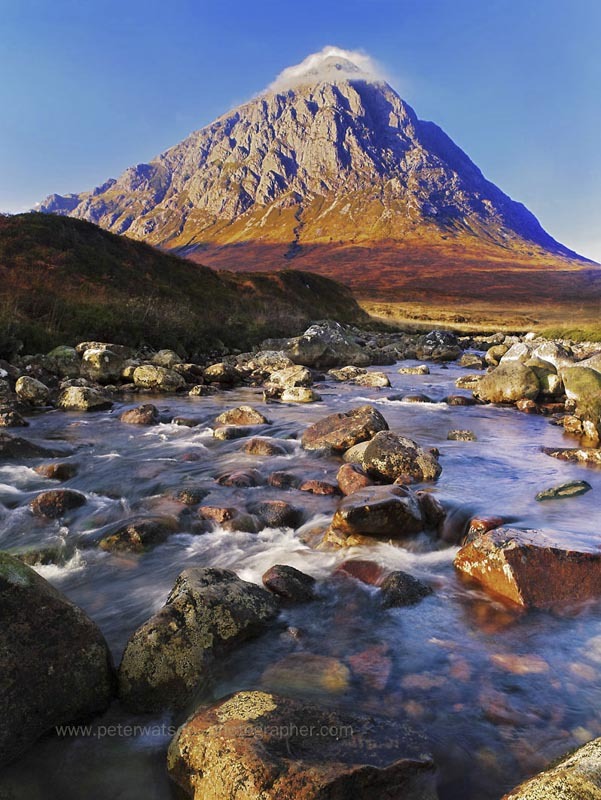 The appearance of the submerged stones has also been strengthened by the use of a polarising filter which has given the water a transparent quality. I placed my tripod in a rather precarious position in the middle of the river to in order to use a viewpoint which followed the course of the flowing waters. This enabled the composition to include rocks and boulders of diminishing size which lead the eye to the distant mountain. This type of arrangement is a very effective means of depicting depth and eye-catching elements. In summary, it is important to pay attention to your foreground and give it the time it deserves. Plan a shot, and don’t just click away aimlessly. You’ll achieve an entirely new level for your photography, and you will draw viewers into your images. 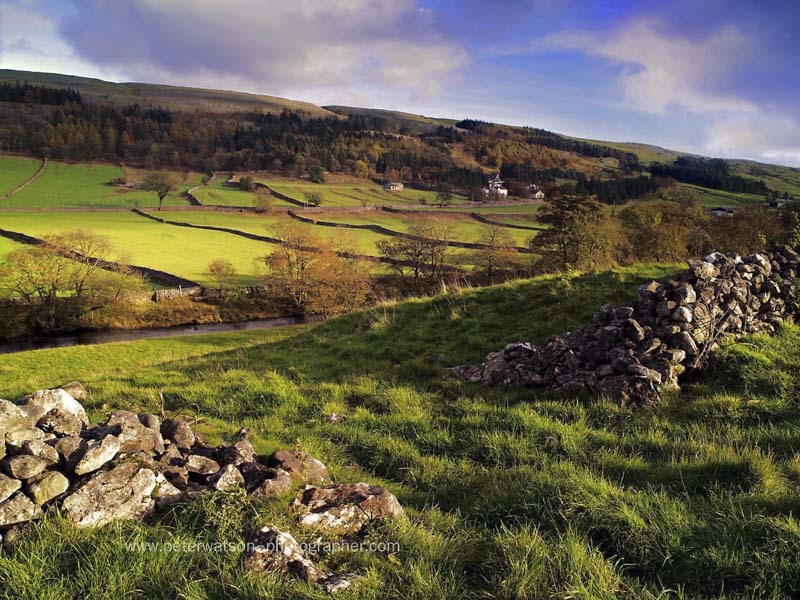 Peter Watson is a professional landscape photographer based in England. 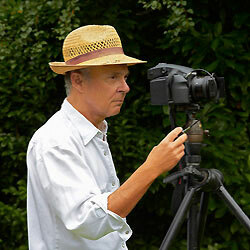 His work is internationally published and widely used in many forms of advertising and media. He has written six books for GMC Publications including Views Across the Landscape, Seasons of Landscape and Capturing the Light. He is also the author of The Welsh Coast.